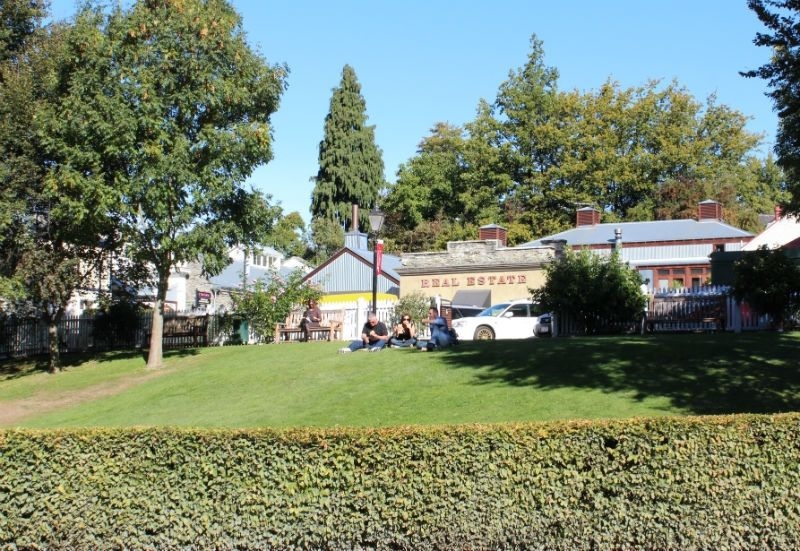 Patagonia chocolates serves a wide variety of delicious ice creams close by on 31 Ramshaw Lane. The park is the perfect place to sample a scoop or two. 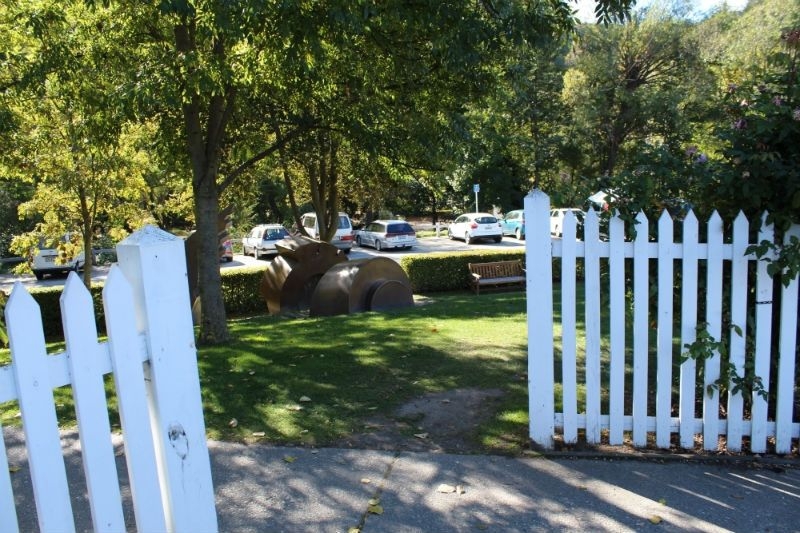 Marshal Park is positioned at the top of Buckingham Street in Arrowtown. 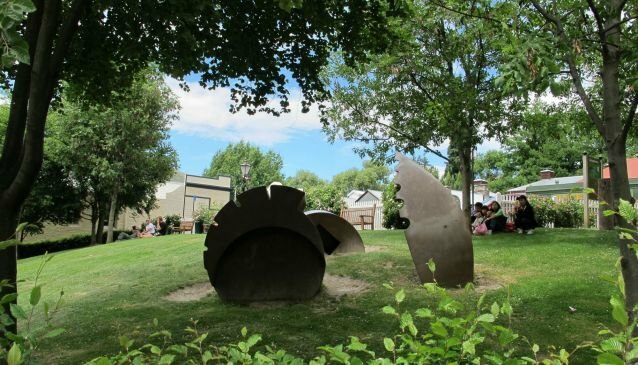 With the trees providing a welcoming shade during the warm summer months, it's a popular spot for enjoying alfresco lunch for locals and tourists alike. 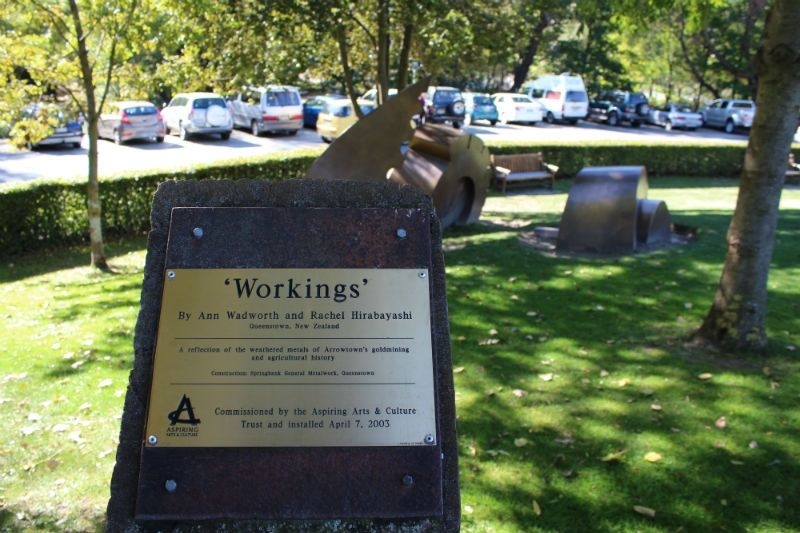 The small park features the sculpture 'Workings' by Ann Wadworth and Rachel Hirabayashi and is a reflection of the weathered metals of Arrowtown`s gold mining and agriculture history. 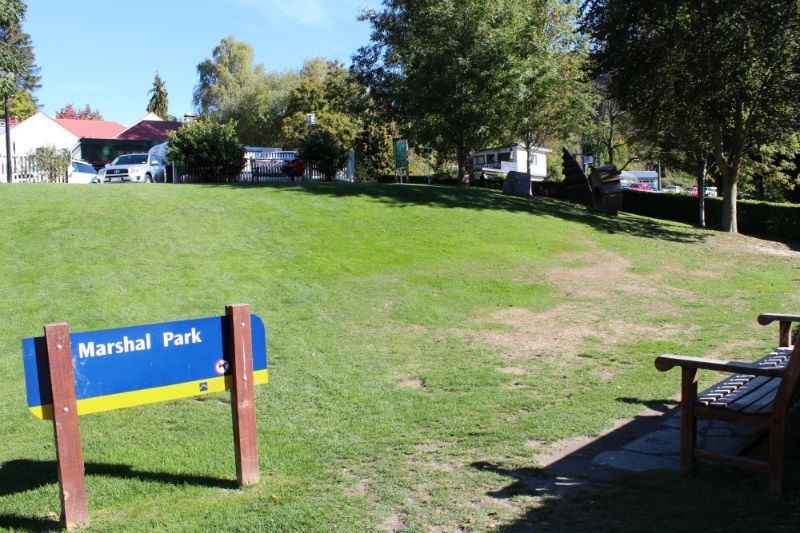 The park is named after Owen Marshal, pioneer aviator, businessman and long served Arrowtown Borough Councillor. 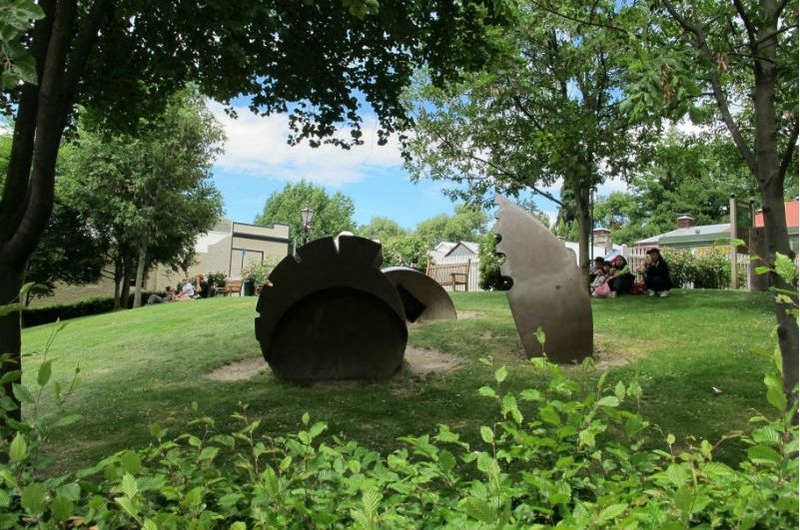 The location of the park means you are close to all the cafes, restaurants and shops. Behind the park and a short walk away is Arrow River which featured in the Lord of Rings films. The crystal clear waters acted as the location of the 'Ford of Bruinen'. 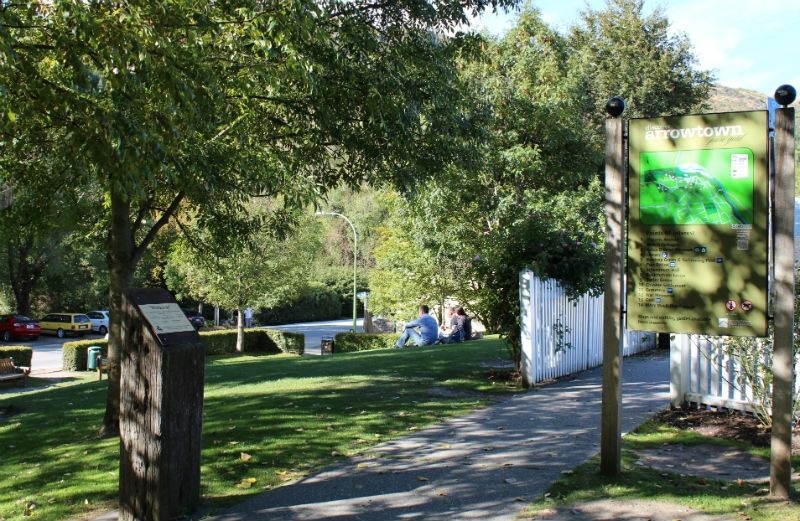 Also close to the park is the Arrowtown Chinese Settlement, a free attraction that provides a fascinating history into the early chinese settlers who came seeking their fortunes in the gold rush era.